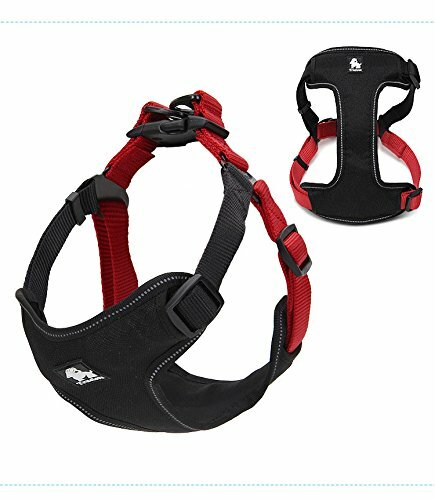 How to adjust the size of this pet harness to a minimum ? You can move the buckle to the right edge until the buckle can not move then the strap will be folded into two. 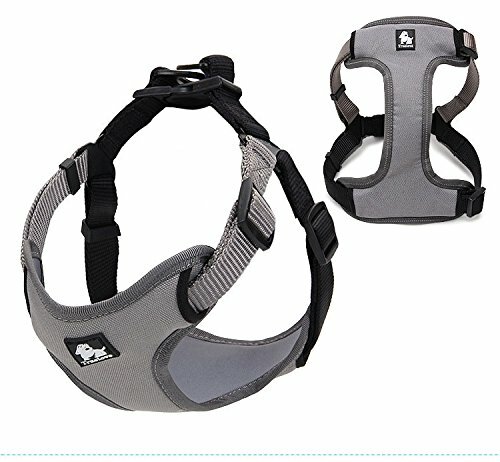 How to adjust the size of this pet harness to a maximum ? 3M Reflective Line:ensure dog's safety at night on the road. Durable ,scratch-resistant soft nylon and oxford outer layer. Handle on the back: it is with nylon webbing,can better control the movement of dog and it also can for safety belt,ensuring the dog's safety in car. 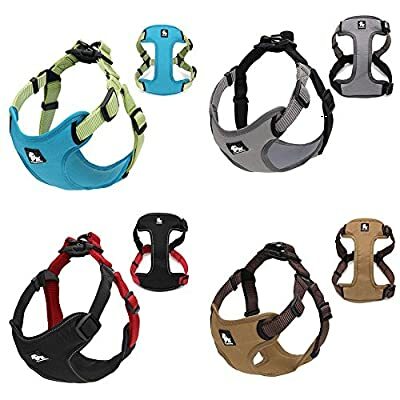 Sunny weather is suitable for riding a mountain bike and wearing comfortable and fashionable high-end outdoor clothing harness dogs go outdoor exercise. Excellent zinc alloy corrosion resistance, scrub anti - rust treatment, high hardness and does not deform, look more upscale. 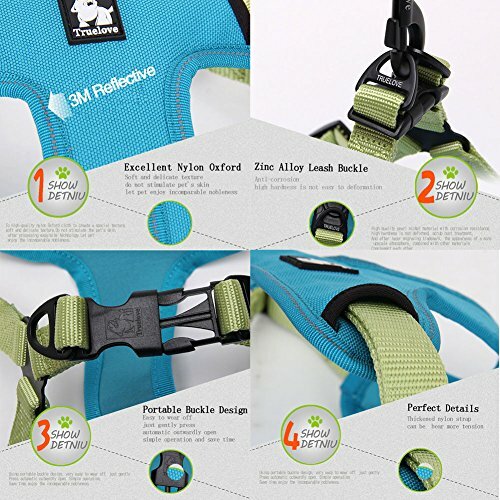 Comfort and quality breathable mesh fabric nylon oxford also 3M reflective material and the quality of Lai card to do Puri, fabric soft and comfortable, not to hurt the skin, exquisite detail work presents a high quality, let the dog have fun and raise more outdoor safety factor. This paragraph is quick to wear off, as long as the dog went to the front within two feet into webbing on the back to plug in the socket. 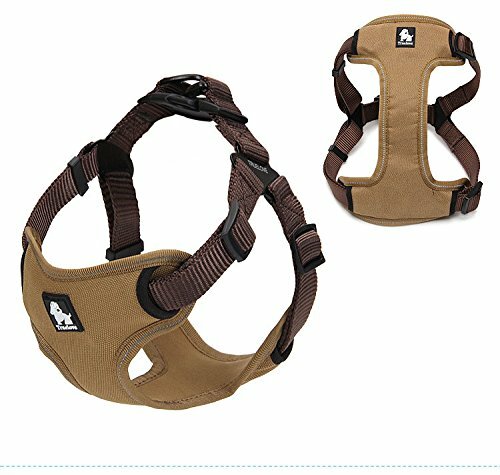 Set in one of the function and appearance of high-end outdoor fashion explosion red strap, it must be your best choice for dogs. 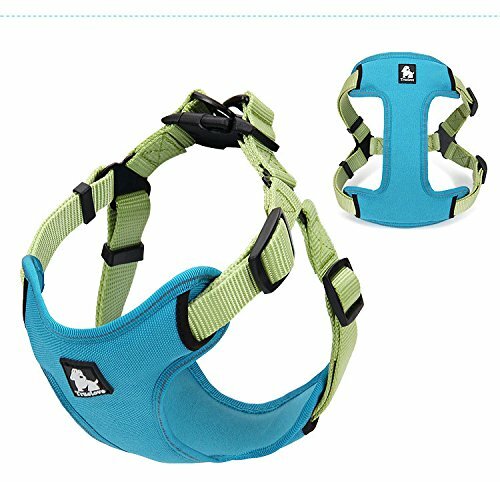 Soft and delicate, high-quality nylon oxford cloth and 3M reflective material to create extraordinary texture, superb craft processing, let your dog enjoy noble. The excellent zinc alloy pull buckle with anti-corrosion, high hardness is not easy to deformation, scrub antirust treatment, laser-carved trademarks, more upscale ,combined with fabrics perfect. Using portable jack design, easy to wear off and operate. High-quality mesh cloth fabric, soft and comfortable, do not hurt the dog's hair and skin, but also flexible. Using thicker nylon oxford bear more tension.